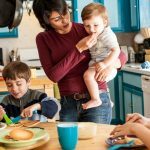 During the school year life can get very hectic and we watch our kiddos struggle to get through each day. We lament that there is not more time to slow down and see what we can do to help them. Summer is here and the time to take positive action is now! 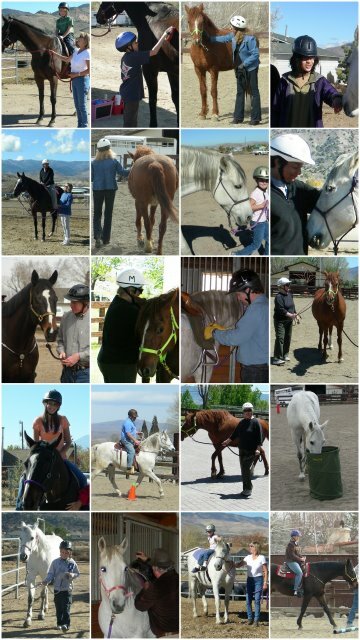 There is a growing understanding of the many benefits of Equine Therapy. 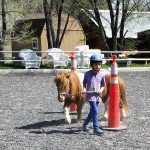 Nevada Equine Assisted Therapy is a year-round program that provides social, emotional and behavioral growth and learning, as well as mental health interventions for children (as young as 4), teens, adults and even seniors. Most of our clients come once per week and our sessions are approximately 1.5 hours long. 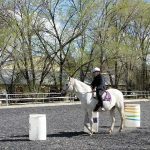 Clients start on the ground, learning about horse and herd behavior and how to be safe working around horses. 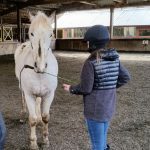 They learn to lead, groom and tack-up their horses before actually getting up and riding. 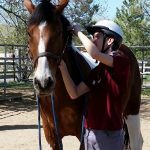 Once on the horse they participate in a variety of activities designed to be fun, yet challenging in a non-confrontational way. We help clients become more self-confident, improve focus, decrease impulsive behaviors, improve problem solving skills and promote leadership, among other things. If you have a child or teen (or are working with one) that is struggling, give us a call at 775-473-5548 or drop us and email at neatinfo@yahoo.com to schedule a visit. 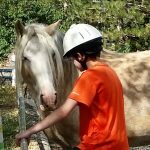 We will show you around, introduce our marvelous herd, learn more about the challenges your child/teen is dealing with, and share more about how we can help. This entry was posted in Addiction, ADHD, Anxiety Disorders, Asperger's, Autism, Bipolar, Children's issues, Depression, Eating Disorders, Mental Health, OCD, ODD, Other challenges, PTSD, Reactive Attachment Disorder, Schizophrenia, Sensory processing issues, Teens. Bookmark the permalink.